Gichin Funaoshi, founder of the Shotokan school of karate, once said, “Karate is not only the acquisition of certain defensive skills, but also the mastering of the art of being a good and honest member of society.” Our society could use more good and honest people and the dojo is a great place to develop them. 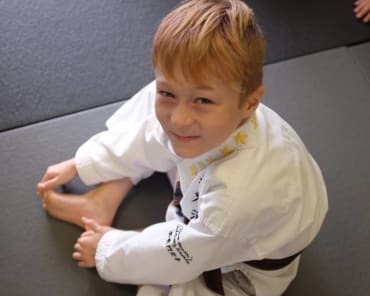 Karate is simply a tool, or method that we use in our dojo to develop the whole person. The body, mind and spirit are connected and to receive the most benefit from your martial training you must address all three. Karate is like an empty cup. What you poor into it is exactly what it will give you back. If you poor hard work, discipline and dedication into it. It will give you back those things. 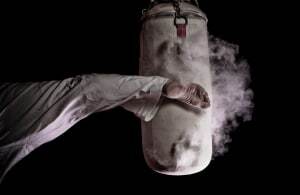 Like karate, kata, which means form, are empty exercises until the person fills them with his own unique experience and challenges to make them what they are. 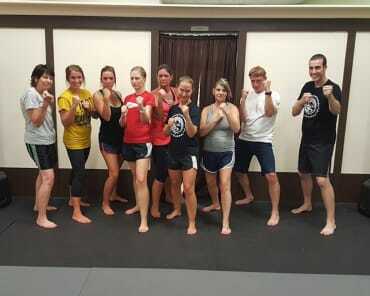 Everyone may do the same kata, but not all kata are performed the same. 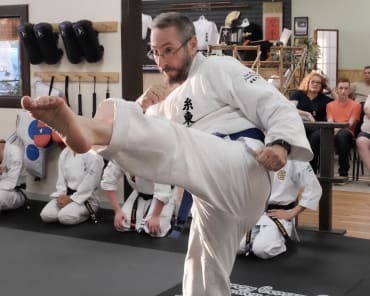 Different body types, different challenges, different needs that we all have come out in our karate training and if pursued intently, will in the long run make us not only better at self-defense, but better people. The ultimate aim of karate is not to develop the worlds fastest round kick, but to build well rounded students who contribute to society. Read more of Sensei's articles @ http://www.senseidave.com today!